Major first-quarter results and the start of the monsoon session of parliament subdued the Indian equity markets, with a barometer index provisionally closing more than 230 points down on Tuesday. The benchmark index of the Indian equity markets, the 30-scrip sensitive index (Sensex) of the S&P Bombay Stock Exchange (BSE), closed deep in the red. It was down 231.28 points or 0.81 percent during the day’s trade. 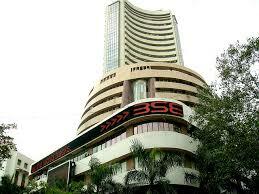 The wider 50-scrip Nifty of the National Stock Exchange (NSE) also closed in the negative zone. It was lower by 70.85 points or 0.82 percent at 8,532.60 points. The BSE Sensex, which opened at 28,381.82 points, provisionally closed at 28,188.84 points (at 3.30 p.m.), down 231.28 points or 0.81 percent from the previous day’s close at 28,420.12 points.